I’m a bit disorganized this week, but it feels great to be getting back to normal after the holidays! And we actually got snow yesterday. We only got about 3 inches, and its so pretty, even if it has started melting already. Its the first time I’ve seen actual accumulation on the ground since I’ve lived here. Obviously, this storm wasn’t as big a problem for us as for other parts of the country, like my parents, who live just outside of Boston and had their street flooded. The real problem here is that the cities don’t have the equipment to clear the roads, and because the temperatures tend to be right near freezing, we get alot of black ice. 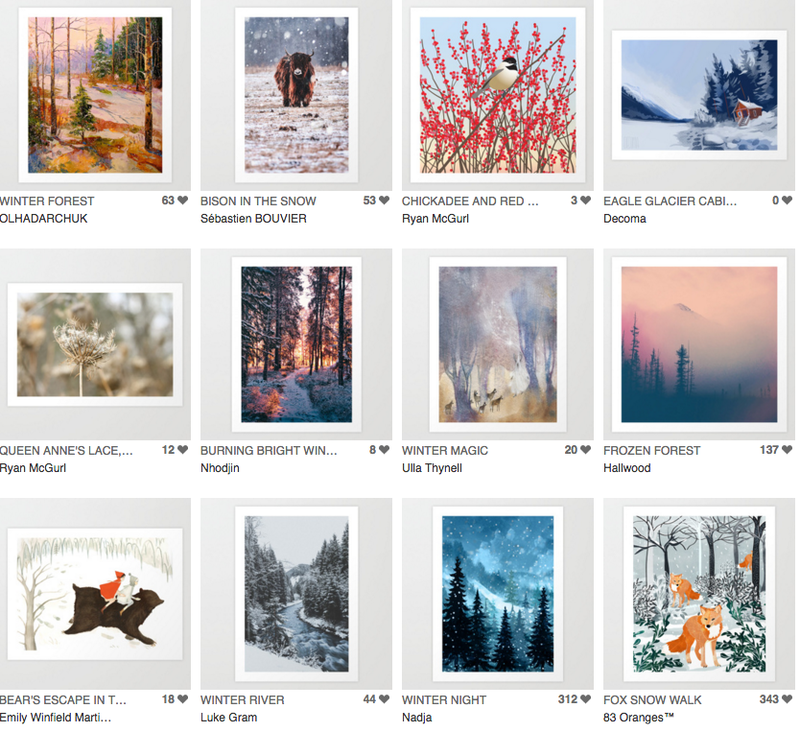 And until I finish editing my own snowy photos, here are some pretty winter artworks I found on Society6. This entry was posted in Curated Collections on January 5, 2018 by RyanMcGurl. Lovely collection ! I love snow, and the magical winter wonderland feel of snow covered trees and houses.